Are you ready to play along? Go ahead and make whatever you want this week and link it up at the Catch the Bug blog so you can be in the running for prizes. Can't wait to see what you create! 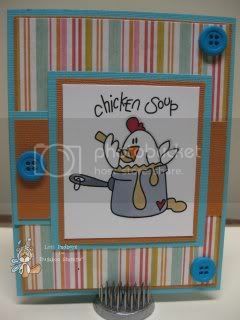 I LOOOve Chicken soup! Really cute card!